Popcorn is very simple to make and doesn’t take much time at all! You will need some heavy-duty tin foil, vegetable oil, a stick or poker, salt or a seasoning of your choice, and popcorn kernels. Begin by tearing off a large square of tin foil (18 to 20 inches), and put 2 tablespoons of kernels and 2 tablespoons of vegetable oil in the center. Fold the tin foil in half and seal the edges so that it creates a sort of pouch. Once you have this done this, attach the foil pouch to your stick or poker and hold it over the embers, shaking it back and forth from time to time. The kernels will soon start to pop and it won’t be long until they’re done and ready to be seasoned! Pita pizzas are the perfect choice for any lunch or dinner when you’re camping in the Smokies! To make them, you will need pita bread, pizza sauce, mozzarella cheese, pepperoni, and tin foil. Place your pita on the tin foil, and then spread a few tablespoons of pizza sauce on it. Next, sprinkle the mozzarella cheese on one half of your pita, and add pepperoni slices if you want them. After that, you’ll want to fold your pita in half and wrap it up in tin foil. Place your pita over the embers or toward the edges of the fire for about 5 minutes, flipping it over to its other side halfway through. S’mores are a classic campfire treat and very easy to make! All you will need is graham crackers, Hershey’s chocolate, marshmallows, and a poker or stick! Start by roasting a marshmallow over the fire on a stick. If you hold it over the embers or the edges of the flames and rotate it, you can create a perfect golden-brown outside. However, if you prefer the crunchy, charcoal goodness of a quick, burnt marshmallow, go ahead and hold it right in the fire! Then all there’s left to do is assemble your s’more. Break one of the graham crackers in half and place a piece of the chocolate in between. Finally, transport your marshmallow from the stick to the cracker, and there you have it! If you love bananas, this sweet treat is for you! For this simple and delicious dessert, you will need bananas, mini marshmallows, chocolate chips, and tin foil. Begin by cutting the banana lengthwise about a half inch deep. Then, stuff your banana with however many marshmallows and chocolate chips your heart desires! Once you’ve done this, wrap your banana boat in tin foil and place it over the embers of the fire. Keep it there for a few minutes, flipping it to its other side halfway through, so that it cooks evenly. 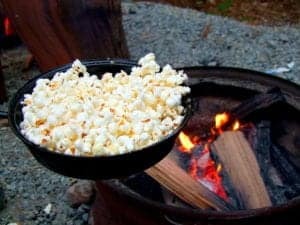 These delicious bites are all very simple and don’t require many ingredients, making them perfect for your next campfire! 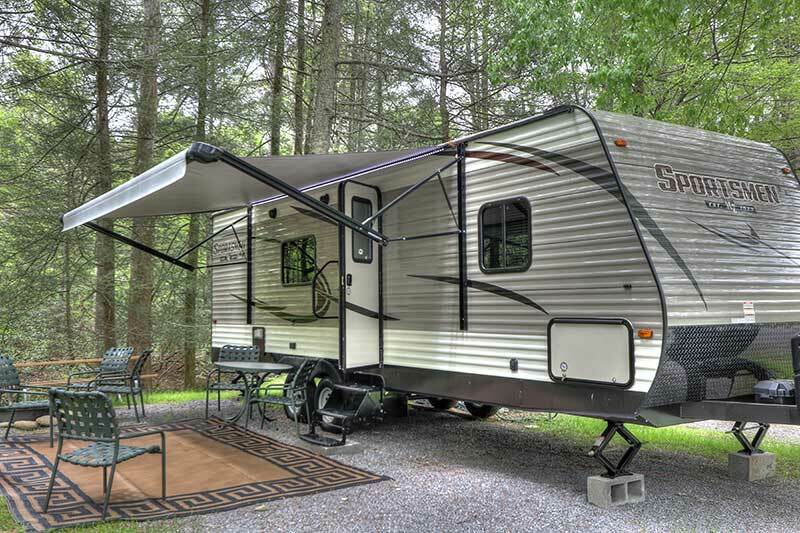 Now that you know exactly what to cook, it’s time to start planning your trip to go camping in the Smokies! 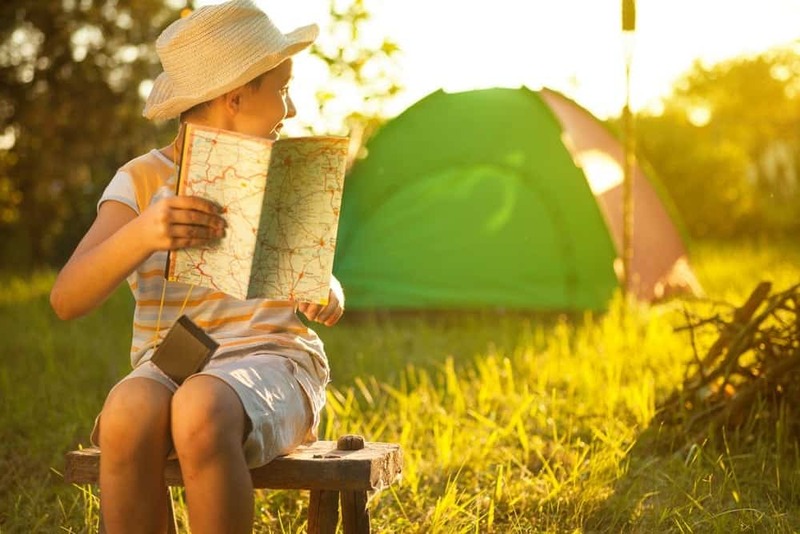 Check out our campground sites today, and find the perfect one for you and your group. 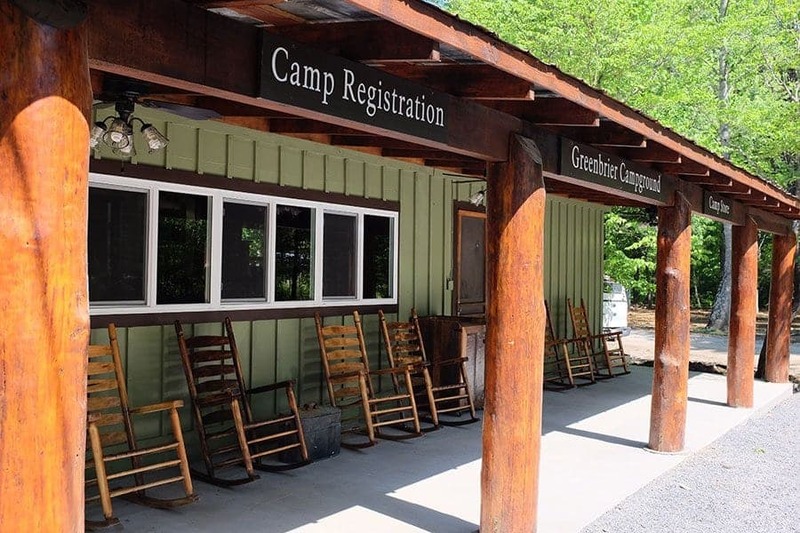 We look forward to seeing you at Greenbrier Campground!